Loving well takes more than simply remaining married. It means valuing that marriage and doing the hard work to make your intimate bond the best it can be. When it's going well, your relationship can lift you up and make your entire life go smoothly. But when relationship problems appear, you can focus on either ignoring them or doing what you can do to improve your intimacy. We get that. Marriage Counseling is all we do. And we've chosen two dozen other expert Marriage Counselors to help you across the USA or worldwide. Our Christian Marriage Counselor in Charleston, South Carolina is waiting to help you. Blending science + faith. You'll make a positive step toward enhancing your Christian marriage just by learning more about effective ways we help couples. Daniel can explain what evidence-based relationship counselling is all about and how we help. It's a weekly newsletter packed with info about how relationships improve with intensive work. Call Our Intake Coordinator, Daniel, to find available dates or times. 30 years of Demonstrated Expertise in Helping Christian Marriages. Many Christian counselors claim to have the skills to helping troubled marriages. Few have the secular and Christian qualifications that make them "Masters" of relationship counseling. There are two proven science-based methods for helping troubled couples. Please allow us to introduce you to our Christian Marriage Counselor in Mount Pleasant, South Carolina. Certified Instructor and Trainer for Interpersonal Communication Programs, Inc.
Kent MacEachern, MA is a Licensed and highly skilled Marriage and Family Therapist and workshop presenter. 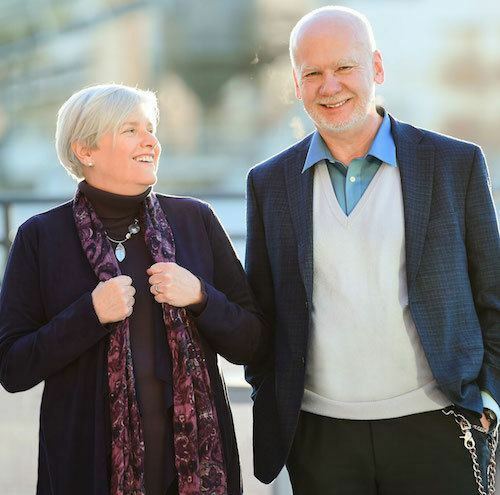 His marriage counseling blends science-based Gottman Couples Therapy with Solution-Focused Brief Therapy, Bowenian family systems and psychodynamic theory and diagnosis. And biblical wisdom thousands of years old. We're proud to have him as one of Couples Therapy Inc.'s Senior Marriage Counseling Therapist. Stay up to date with the latest science-based research, tips & tools for Masters of Relationships. I can’t stop talking about how good our session was with you!! It’s already made a big difference!! Thanks again for your great advice and suggestions! I was really dreading it, but came out feeling much better not only with my marriage, but about myself. My husband has torn down the walls of defensiveness, combativeness, and manipulation. We are working on re-establishing trust, connecting through different communication tools, and have a common goal of wanting to have a marriage worth our happiness. I feel free. We both feel like we don't have to pretend or hide anymore - We have been able to talk about any and everything this week and it feels so freeing. What is the Length of Your Marriage Counseling Sessions? Our Christian marriage retreat sessions are 2 hours on the first evening and run from 9:30am-4:30pm on the following two days (typically Saturday and Sunday). Our Online Christian Marriage Counseling sessions are 1 hour and 20 minutes. This is longer than an insurance-reimbursed 45-50 minutes for a reason: Research on couples demonstrates that when two clients are in the room, it simply takes longer to work effectively with them. This makes sense. What are the Credentials of Your Christian counselors? Church involvement: Saint Andrews Mount Pleasant South Carolina: Former vestry. Member, Former Chairman of Day School board, started and led Marriage Ministry using The Marriage Course. Trained by The Rev. Nicky and Sila Lee at Holy Trinity Brompton, London, England who developed the program for church use. St Andrews was one of the first churches in the United States to offer The Marriage Course, a highly successful program nationwide. What Makes a "Christian Marriage"
On the most basic level a Christian Marriage includes sharing the same believes about God. Those in a Christian Marriage share the same worldview and walk with God being a central part of their life and therefore their marriage. Couples who prayed together or pray for each other can be a very bonding experience. Christians in a Christian Marriage have shared believe in their philosophy about the nature of love. In a true Christian Marriage this philosophy includes beliefs about the self, sacrifice, and sacrificing for each other. This is an alive working definition of love. Often their church involvement as a couple and as a family is crucial. The support gained from being a part of a like-minded community strengthen shared values and believes about marriage. Often church involvement leads Christian couples into being involved in some form of ministry, gathering like-minded marriage ministries or mission trips, teaching Sunday school or working with youth. On a deeper, spiritual level, there is a believe in the sanctity of marriage or sacrament. For others, this believe is not only very strongly "pro marriage" but also very "anti-divorce." For it to be truly a Christian belief, the strengths of their religious beliefs, joint prayer, and mutual self-sacrifice with virtues such as kindness, caring, tender regard, and passionate attention are not only held for each person individually, but also evident in their mutual support systems. Marriage is a lifelong commitment. But not a lifetime filled with bitterness, coldness, resentment, contempt and withholding. The love that is exhibited between husband and wife extends beyond them both and creates a network of caring. Christian Marriages demonstrate true compassion and genuine warm between them, which becomes a role model for their children of how family love is demonstrated. Serving Charleston, SC; Greenville, SC; Spartanburg, SC; Anderson, SC; Rock Hill, SC, Beaufort, SC; Lexington, SC; and across South Carolina, North Carolina and all across the USA. Twenty-three Christian and secular marriage counselors practicing across the USA and internationally. You can find our Christian Marriage Counselors in South Carolina, Kansas City, Missouri (Overland, Kansas), and Missoula, Montana. All three have advanced training in the Gottman Method of Couples Therapy. Two are ordained ministers. All are highly skilled couples therapists. A Team of over 350 years of Combined Couples Counseling Skill. Boost Your Skills. Join Our Subscribers.